Medium green-yellow color; peach, orange peel, baked apple, apricot on the nose; tropical flavors, lemon zest, lime, grapefruit, passion fruit, peach on the palate. 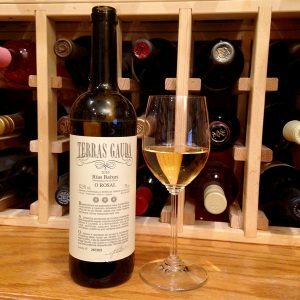 Dry; light body with slightly oily, unctuous texture—a positive feature of albariño. This is 70% albariño, 20% caiño blanco, and 10% loureira. Crisp, clean, refreshing with slightly briny elements—another feature of albariño and the nearby Atlantic ocean. Fresh with tart acidity, extended finish. More complexity, integration, and depth than pure albariño efforts. No wood; fermented in stainless steel and aged three month on the lees (sur lie) to achieve this texture and richness; 12.5% ABV. 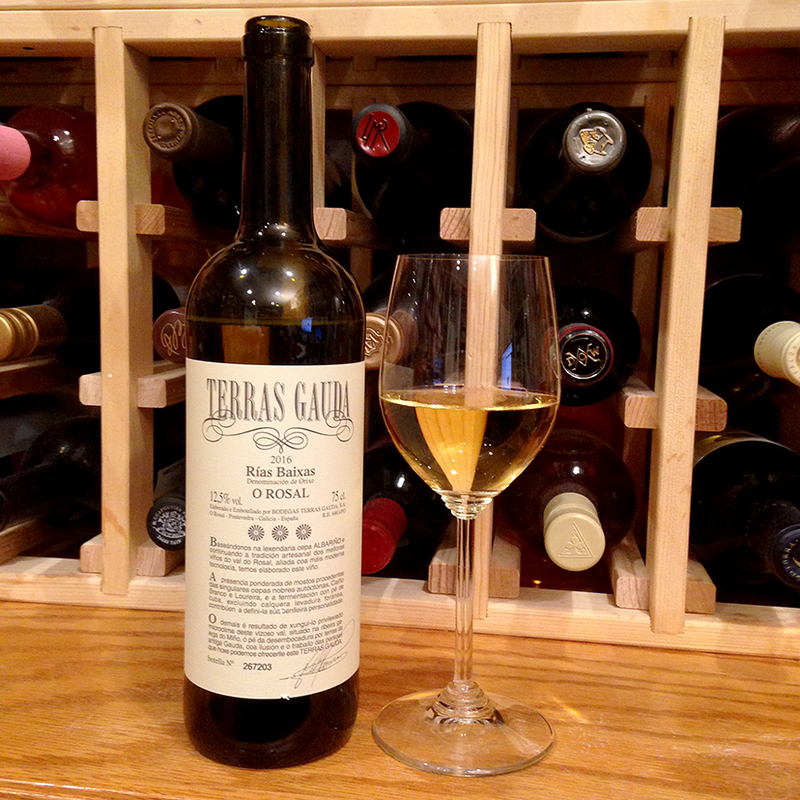 This is the flagship wine of Bodegas Terras Gauda. 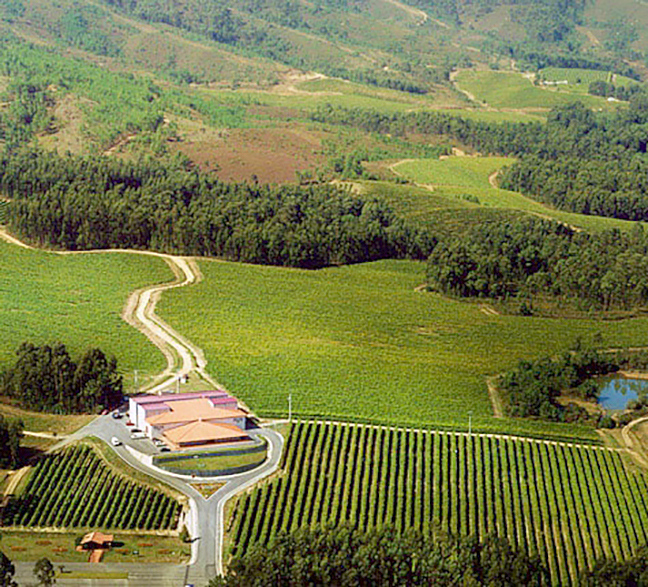 The estate vineyards are grown in the O Rosal Valley, located on the Spanish riverbanks on the Miño River (Portugal is on the opposite bank). 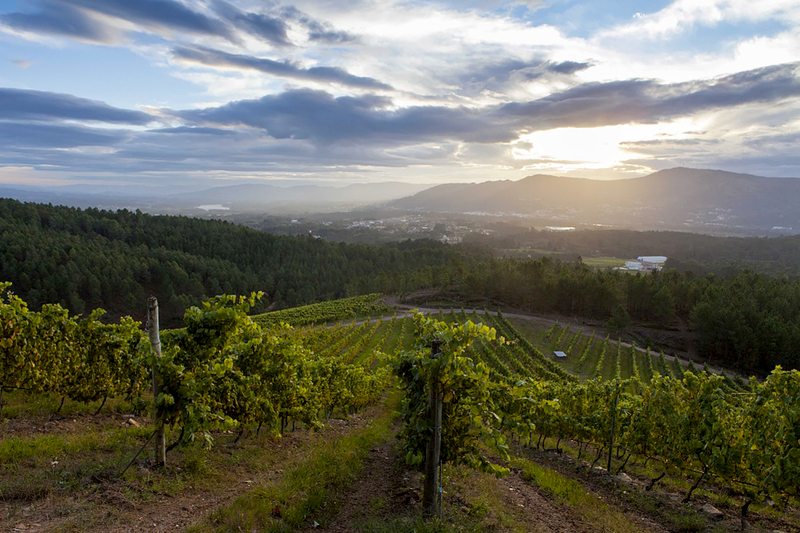 Rías Baixas is one of the leading white wine producing regions in Spain and the only Spanish DO for white wine; albariño wine accounts for some 90% of the vines in Galacia. 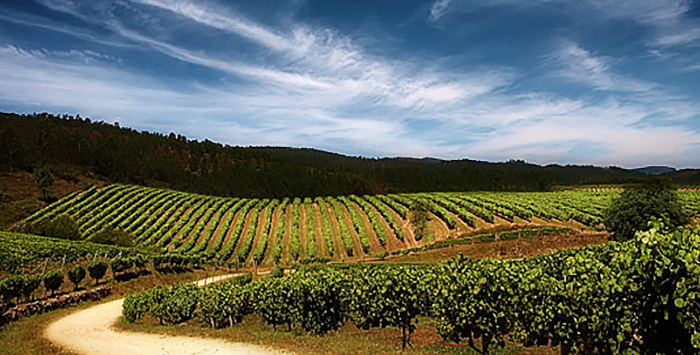 Rias Baixas is known for whites in similar way Rioja is famed for Spanish reds. The region is known for its granite soils and high winds. The winds are strong enough that vines are trained on granite posts. The stoney soil, wind, and cool temperatures help deliver wines with fresh acidity and minerality. This effort certainly showcases those characteristics. Albariño is a small, thick-skinned grape that resists fungal disease, important because of the heavy rainfall in Rías Baixas. The grape is low yielding and expensive to cultivate because of the pergola (parra) system for training vines. The Rias Baixas region hugs the border with northern Portugal. 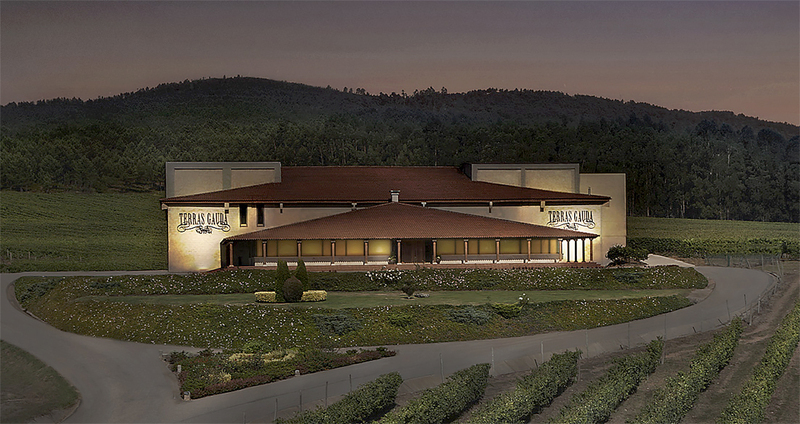 Across the border, the grape is called “alvarinho” and is the principal grape used in vinho verde wines. Spanish and Portuguese efforts are superb alternatives to sauvignon blanc, pairing with the same foods and offering similar profiles while still being different.